With the right two people, sometimes, even when everything goes wrong, it goes right. 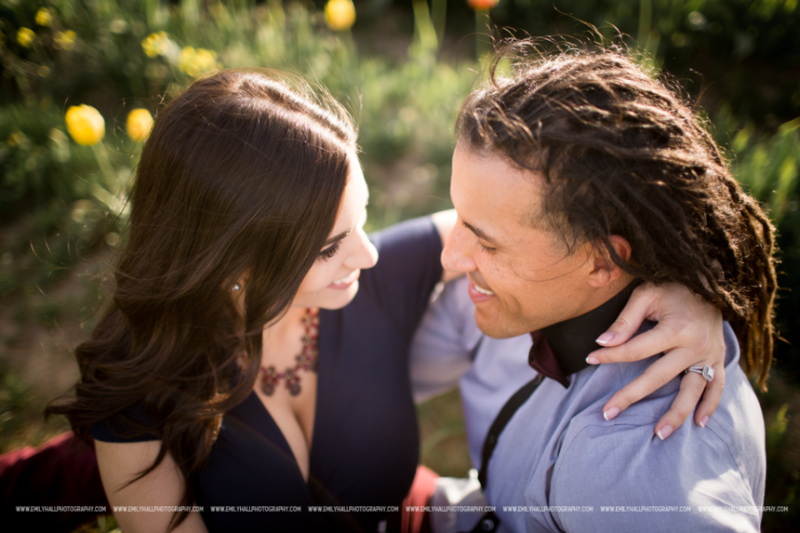 Find out what happened: Clarissa & Danny’s Engagement Story. Is there anything better than riding off into the sunset on your wedding night with the one you love? Maybe it was their beautiful garden ceremony at Oregon Gardens? Their amazing reception, complete with rap duet toasts and a Macklemore style Dance Off? Maybe you should just choose for yourself – there are so many great moments! -Pure joy, the very best way to start a marriage! Pure joy the best way to maintain a healthy marriage. -Knowing that I get to spend the rest of my life with you makes me so happy! -Just one of the many smiles we get to share over the course of our marriage, priceless! How would YOU caption this photo? Keep in mind that these two people are AWESOME. Bring your best stuff! I recently had the honor of documenting this Willamette Valley Vineyards Proposal. Planning a proposal? Have you thought about having someone photograph it? Without a game-plan for documenting the wedding day details, it’s oftentimes easy to get so caught up in the happenings of wedding day that they can easily get lost in the shuffle. As a photographer who prides herself in capturing the raw emotions and being a storyteller of the wedding day, I could easily tell myself that there are more important things than documenting tables, guestbooks, jewelry, etc. But if I did that, I’d be missing an important part of the story. Most of the couples I work with put a lot of time, emotion, and energy into their wedding day details. Many items are handmade and are the result of countless hours of brainstorming and decision-making as the vision for their wedding day develops. Most of these items are sold or discarded after wedding day, and what remains are the memories. I love it when my mom fondly recalls the details of her wedding and the efforts of my grandmother and my nana went to to make the day extra special for my mom. I am forever grateful to my wedding photographer for taking the time to document the many handmade details that I spent way too long making, and I look forward to sharing those memories with my own daughters one day – WITH pictures! 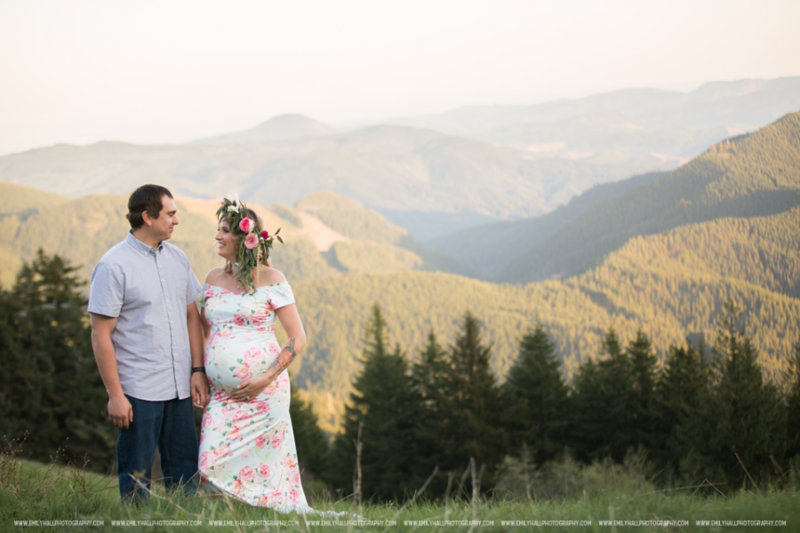 These two rode off into the sunset after their gorgeous Oregon Gardens Resort Wedding! Check out their blog post for more sunset photos, a seriously fun “Dance Off” between the Groom and one of his Groomsmen, and more wedding day fun! Celebrating 1st Birthday With a Smash! Camille’s Cake Smash Session was a hit!! Pink, gold, sparkles, and polka dots! And cake!! What more does a one-year-old need to celebrate her first birthday!? I have photographed weddings where Molly has been a bridesmaid, a maid of honor, a close friend of the couple – I’ve gotten to know her and her now-fiance, AJ, really well. Spoiler alert – they’re pretty awesome! The first time I met AJ, he gave me a hamburger during a portrait session, instantly making him one of my favorite people. And, it says quite a bit about Molly’s character that she is considered such a close friend to so many wonderful people. Honestly, my summers wouldn’t be quite the same without getting to celebrate at a wedding with Molly & AJ. This year is extra special, because this Fall, they’re getting married! I’m so excited! Here’s a photo from their engagement session last weekend. Can’t wait to share their wedding images! Hi, I’m Emily, one of the regular contributors to Photographers of Portland. I just wanted to share a little personal life update with you all. A couple of weeks ago, we added a new family member. Please say hi to Sonia and check out her super-cool Dr. Seuss nursery. I’m taking it easy for the next few weeks, but I’ll be back at work soon! I’ve photographed weddings at Cornelius Pass Roadhouse before, but this was the first time I’d gotten to photograph one at Imbrie Hall. It was super-cool! My favorite moments from this wedding: portraits with Nick & Stephanie for sure – I loved how sweet & comfortable they were (are) together! The bouquet toss. Pictures below. It was epic! The “first” dances – I always enjoy the bride & groom’s first dance. This evening, the father-daughter and mother-son dances were pretty special as well. The crazy cool chandelier didn’t hurt either. And – final favorite – I loved that Stephanie & Nick asked me to photoshop a Gollum & The Ring scene into one of their portraits! Congratulations, Nick & Stephanie – You guys are awesome!! Hannah and Austin accomplished something that leaves me more in awe every time I think about it. They managed to pull off a beautiful farm wedding as parents of a brand new baby. And they did it in a more laid back and relaxed fashion than I could have imagined! Planning to propose? Recently engaged? We’d love to hear about it! How’s the wedding planning going so far? If you have any wedding photography related questions, we’d love to help! Worrying about rain on your wedding day in Oregon is a common concern that I hear, but it doesn’t have to be! With the right Oregon Wedding Photographer and the right outlook, rain on your wedding day can result in some amazing wedding portraits! Rachael and Jon were married on one of the hottest days of the summer, alongside one of Portland’s beautiful Rose Gardens. Their Portland, Oregon wedding day included the perfect blend of friends, family, and Timbers Fan style celebration. These two chose to enter their wedding reception party via boat! I thought it was a great way for them to sneak in a few extra moments together on their wedding day! Dramatic lighting adds some great drama to senior sports portraits! It’s a great technique to separate them from the sometimes standard-feeling team sports images and it can really give them an edgy effect that’s perfect for the maturity of a young adult athlete! When shopping for your senior portrait photographer, don’t hesitate to ask them about their off-camera lighting capabilities! When Ella’s Mama asked if she could be in a few of Ella’s First Birthday Portraits, my heart soared. Let me tell you why. 1. FACT. Mom’s are never in enough pictures with their kids. They are usually too busy momming, or hiding their imperfections to be IN the pictures with their kids. 2. What do one-year-olds love more than their parents? NOTHING. Want a happy smile from your child who has just developmentally started to care about strangers vs. familiars? Let them play with their people. When you think of your most special portraits from your childhood, do they include your loved ones? This portrait session reminded me how important it is to get in front of the camera. I hope it inspires you too! And they traveled around, on a bicycle built for two! Kevin drove Carly around on the handlebars of his bike while they were in college together. So, a tandem bicycle was a perfect addition to their backyard country wedding!